ⓘ This is a liquidation product, There are only 20 left at this price. Medline I.V. Start Kit: Streamline your procedures with our convenient start kits. Components are assembled, sterilized and packaged to save valuable nursing time. The I.V. start kits, which are packaged for aseptic technique, are also available in custom configurations. 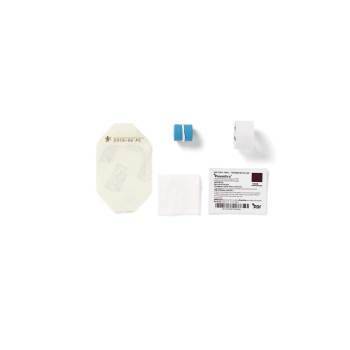 Kit includes two gauze 2" x 2" (5cm x 5cm) 4-ply dressings, Tegaderm® 1624w dressing (3/4" x 18", 2cm x 46cm), Suresite® window dressing 2.37" x 2.75" (7cm x 7cm), Medfix transparent tape roll (3/4" x 18", 2cm x 46cm), latex-free tourniquet and Chlorascrub® prep pad 1mL in a lidded tray.